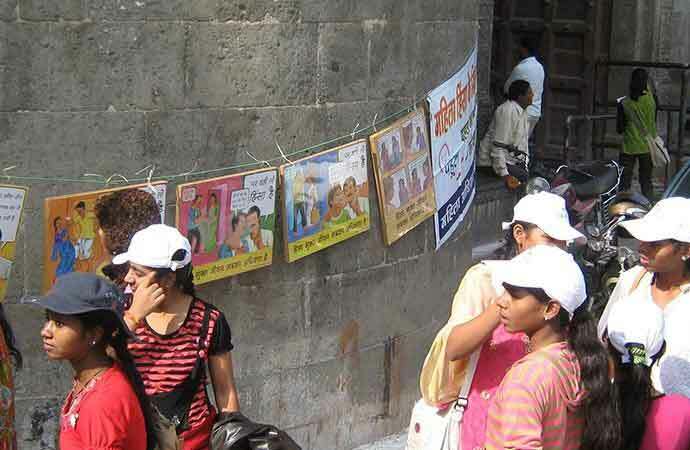 The Safe City Initiative Program project aims to end a Violence against Women in selected 53 slums of Indore and 52 slums of Bhopal through different intervention models. The project envisages working with the women/adolescents and men. It seeks to study and develop different models which can then be scaled up or replicated in other areas of the city and other cities. One of the important sections is the adolescent/youth who are much more vulnerable to sexual abuse and violence especially in the slums.